How Do I Get My Picky Cat To Eat? 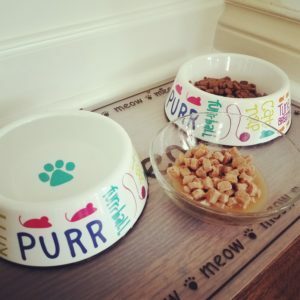 Have you ever struggled to get your cat to eat at meal time? It can be so frustrating when our cat’s refuse to eat because we want them to be healthy and happy! So how can you encourage your cat to eat when it appears they’re on a hunger strike? Try some of the tips below! The most important thing to address if your cat starts refusing to eat is their health. Make sure your cat is still drinking water, using the bathroom regularly and follow up with your vet for a clean bill of health. Refusal to eat can be a sign of illness. 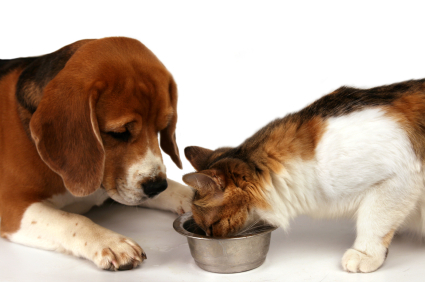 Be sure your cat’s food dishes are cleaned regularly. Not only can germs and bacteria live on dirty dishes and make your cat sick, the old food smells bad! Your cat’s nose is much stronger than ours so even if you don’t notice the smell, your cat still does. Throwing your cat’s food in the microwave for 5-10 seconds can warm it up a bit and make it a bit more appealing. What’s better than a nice warm dinner?? Just like we don’t like all the same foods, every cat doesn’t have the same taste either. Your cat may genuinely not like the food that you’re offering and you could try something different. This may be especially helpful if your cat has eating the same food for a while. Even if you love pizza, you would get sick of eating it for every single meal! Try sprinkling some multivitamin powder or tasty wet food toppers over your cat’s food to make it more appealing. Some cats don’t like eating out of deep dishes because it constricts their whiskers. Try feeding your cat on a flat dish rather than a deep bowl to see if they prefer that. It was 3:30 on a Wednesday and I was sitting at my computer working on administrative tasks for my business. My mind was busy with scheduling for the busy up coming holiday schedule when my phone rang. I answered the phone and received the news that every professional pet sitter fears the most. 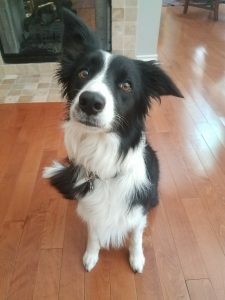 My client’s Border Collie had run away from my pet sitter and was gone. My initial reaction was clearly this was a mistake. 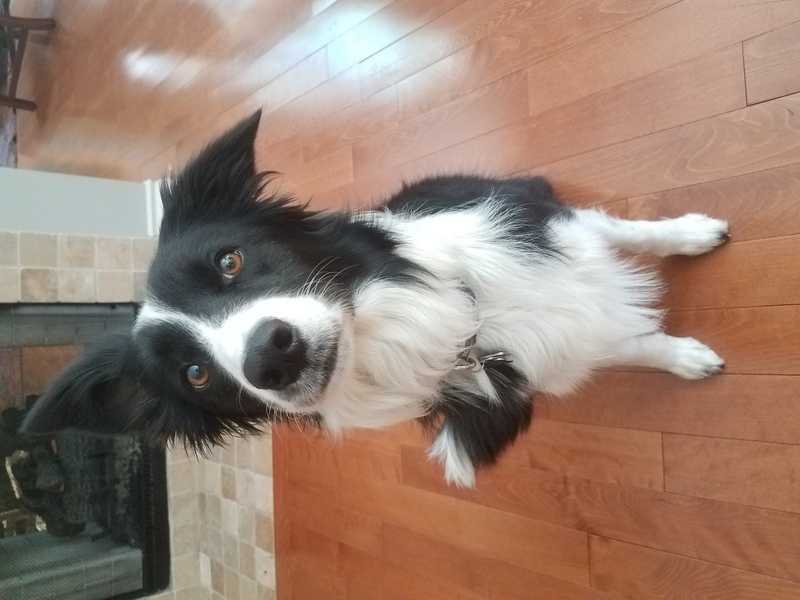 We’ve taken care of this girl for 2 and a half years and the clients have always told us not to worry about her being off leash in their unfenced yard (something we had never experienced an issue with the entire time we’ve cared for her). Clearly such a good dog must be just hiding under the shade of some bushes in the yard to escape the summer heat? Or maybe even wandered to a neighbors house to explore for a moment but would return any second? But as I sat on the phone with my sitter and she continued to not be able to locate Vega, my stomach sank. My absolute worst nightmare had come true. I rushed to my clients house to aide in the search confident that she would come out for me and this horrible nightmare would be over as quickly as it started. However, the minutes ticked by and the more I called for Vega with no response, the worse the pit in my stomach grew. I finally had to make the worst phone call I’ve ever made in my life. I had to tell my client, who trusts us with their home and their babies, that we had lost her dog. A moment like this calls for the utmost professionalism right? Yet when my client answered and the words started coming out of my mouth, tears flowed with them. I was blessed beyond belief that she didn’t get irate. Though clearly panicked she listed places she could be and tired to help while being 8 hours away. When I hung up the phone with her I went into emergency mode. I went to the neighbors down her street. I crossed the busy road they lived off of and started talking to construction workers, landscapers and more neighbors. No one had seen her. It was as if Vega had just disappeared out of thin air. Roughly forty-five minutes into the search one of the neighbors from across the street came over yelling that he had just seen her at the gas station on the corner of the busy intersection. Adrenaline kicked in and I bolted. Running down the street with power and speed I didn’t know I was capable of, hopeful that this nightmare was coming to a close. Yet, to my disappointment, when I arrived at the gas station Vega was already gone. The only lead we had was gone with no idea in which direction to look. Miles of wooded forest in one direction made me go numb as I tried not to think of the impossibility of finding one dog in miles of trees and brush. As I began my search again in every which direction, my clients family came to help as well and almost an hour and a half into the search we got another break. Almost a mile down the road where all the woods are, construction workers in a new property development had seen her in the middle of the road but didn’t know which way she went. I was more discouraged than ever now that it was confirmed she was likely running into the woods. I drove around for hours. Where do you even start looking with so much land around that she could be in? I asked anyone I saw if they had seen her and time and time again I was told no. I called the police. I called rescue friends in the area and they came out to search. My husband came out to join the hunt. Yet still nothing. No one had seen or knew anything. Finally, with nearly an hour left until dark, I decided to drive to the local state park where Vega often went with her mom. The park has miles and miles of forest but it was all I had left. I drove into the park and searched. Nothing. About to give up and go home, by the grace of God I happened to look out my window and saw the tips of black ears poking out of a field of tall grass. It was Vega. I stopped the car, got out and called to her so happy to have found her! But the minute she saw me she bolted and within seconds was gone deep into the woods. My clients family joined my husband and I at the park and we began our search again. I was so sure she would come out when she heard the voice of family. I managed to chase down a DNR truck to inform them of the situation and they notified all the staff in the park. DNR officers in trucks and golf carts began searching the park as well. With all this man power we were guaranteed to find her! However, as the light gave way to darkness there was still no Vega. We were forced to go home, an idea I found inconceivable. How can I go home and just sit there knowing my client’s dog was out alone in the park somewhere?! Vega is a very smart girl and my client knew she could find her way home if she wanted so we left the garage door cracked open so she could go in and be safe if she returned. At 1:30 in the morning I couldn’t sleep anymore. I was wide awake. By 2:30 I gave in to my worry and anxiety, got into my car with a blanket and some breakfast sausage and drove to my client’s home again. I was hoping beyond all hope that I would pull in the drive, look in the garage and there she would be. I held my breath as I turned the corner and my heart sank when I saw the empty garage. I got out with a flashlight and looked around calling for her with no response. I left the blanket and sausage in the garage just in case. I drove up and down the main roads hoping not to find her lying in the street. When I saw no sign of her (this time I was grateful for that!) I headed to the park again. At 3 in the morning in complete darkness I sat calling her name. In the quiet stillness of the night, I heard nothing but the sound of my own voice bouncing back at me from off the trees. The next morning I headed to the park bright and early with flyers. I was also blessed to find that there were two local professional pet sitters who dropped everything to meet me at the park. Friends I didn’t even know I had. After another 4 hours of searching and posting flyers we had another break! One of my pet sitter friends had seen her trying to cross the intersection where the park ended, a mile away from home. To our disappointment she darted back into the woods and disappeared again. Quickly stopping to have some lunch and restock on flyers I headed to the park yet again. By this time, my client’s husband had flown in for the day so he could join the search. We stayed in the park for hours. Calling for Vega. Searching all her favorite spots in the park. Asking every single person who passed if they saw a dog. Nothing. No sign of her at all. At 3pm the husband and I decided to call it quits for a bit. My mind said no but my body was giving up. By that point I had covered 20 miles of ground. I was in so much physical pain I could hardly walk. Disappointed and disheartened I left the park. Two minutes after I left the park I got a call. A gentleman had just been biking in the park and saw my flyer. When he returned home from the park Vega was on his property! This means she had crossed the main road, left the park and was getting closer to home. My clients husband searched the area for another hour while I waited at the house with all the doors open confident any minute she would come right into the house to play frisbee with me. Again, nothing. My client told me to go home and “rest” and he would go out and look more later. By late that night when we still didn’t have Vega, I put out a call to a local rescue friend of mine who knew a lady that was wildly successful at trapping lost dogs. I talked to the trapper and she told me what I needed to do. I had to call my client and explain to him that he had to pee in a circle in his yard and put food in the center (yes…you read that correctly). Not only did Vega run away from us but now I had to call him and tell him he needed to pee in his yard??? The logic behind this however was that dogs know us by our scent and urine carries the strongest scent. As weird of a concept as it was, he obliged as at this point we would do anything to get her home. I woke the next morning to no updates. Still no Vega. I contacted my pet sitter friends and rescue friends and told them to resume the search as soon as they could. I made up more fliers and was ready to go. When I got a text. Immediately after I got the text my client who was stuck in Kentucky called me and we sobbed together. The relief unlike anything I can even explain. Vega was home. Safe and home. She had shown up on her own and was waiting on the porch when my client’s husband woke up. You may be wondering why I would risk sharing this with you? 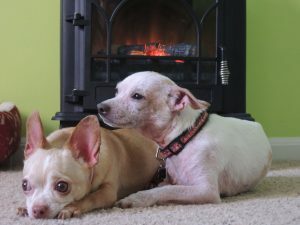 A professional pet sitting company relies heavily on their reputation and word of mouth. Why would I want to put out there that my company lost a client’s dog? Because it happened. But more than that this whole experience proved to me that this is more than a business to me. This is more than making money. This is my heart. This is my life. Pet sitting means more to me than just having a job. It is a deep desire to provide peace and comfort to families who love their pets as much as I do. I would do anything for my clients and if something goes wrong, I will fix it. I will never leave a client in a bad spot and I want all of my clients past, future and present to know they can count on me. Not as a business owner. But as their trusted pet sitter. The following image is a screen shot of what my client posted after Vega returned home. She could have been angry and upset with me for what had happened but because of my actions and baring my heart and soul with her through this whole process, she actually walked away appreciative! I can’t believe it myself still, but I am so grateful to her for her words as she has no idea what they mean to me. So the next time you wonder if paying the fee for a professional pet sitter is worth it when you could just hire the high-school kid next-door remember this: I am not a special case. This is who we are as an entire pet siting profession. Every professional pet sitter I know would have done the same thing. We will go to the ends of the earth for our clients and our pets and that is a peace of mind that cannot be measured by “saving a little money”. 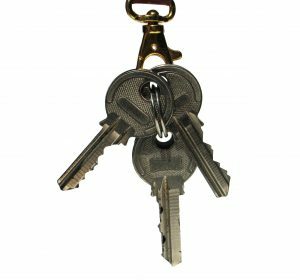 How Do I Know A Pet Sitter Won’t Steal? One of the biggest concerns with hiring a pet sitter is letting a STRANGER into your home unattended and hoping they don’t go through your belongings and steal something. You’re trusting this person with a key to the house, security codes, garage codes and access to your home without you there. That is pretty scary! This point cannot be stressed enough! First, I’ll admit, professional pet sitter does not automatically mean they are a good person and won’t do anything wrong. However there are several important qualities that professional pet sitters have over “the hobby pet sitter” that make the pro the way to go. A professional pet sitter does this for a living. That means that this person has decided that they want to spend everyday of their life dedicating themselves to taking care of client’s pets and homes. Typically when someone makes this kind of life decision and decides to dedicate themselves to this profession, they take it seriously. Professional pet sitters treat clients with respect and honesty because it is their passion to do so! 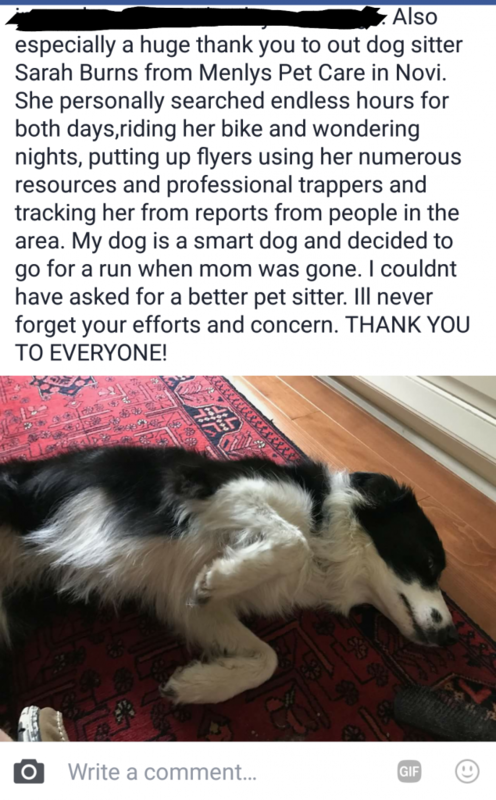 Following the last point, because a professional pet sitter has decided to make this their profession, they have a reputation to protect. You cannot make a living as a pet sitter if the reputation around town is that you’re untrustworthy and steal things. Professional pet sitters take this very seriously! Professional pet sitters are bonded and insured. 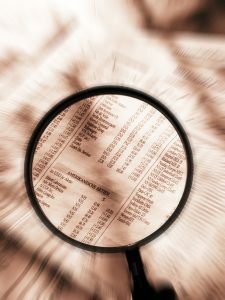 This way if there ever was an accusation of theft, the insurance company can help you recover the monetary amount for any items that you lost. How do I find the right professional sitter? Do your research. How long have they been in business? A company that steals won’t stay in business long. What do their reviews look like? There’s nothing better than hearing from other’s about their experiences. Call them and ask questions. How do they keep keys safe? How do they handle private information like security codes? Do a meet and greet! There’s nothing like meeting someone face to face and feeling their energy. Trust your gut. If you don’t feel comfortable with the sitter, don’t hire them. You absolutely need to be comfortable with who is in your home. Having a pet sitter has so many wonderful benefits to you and your pet. Don’t let the fear of finding the one bad apple in bushel keep you from having a wonderful resource in your pet’s life! Can I Leave My New Kitten Or Puppy With A Pet Sitter? When you get a new kitten or puppy it is a lot like having a baby. And if you’re a first time pet parent you may have the same fears every first time parent has! One of the major concerns of any first time pet parent is; can I leave my kitten or puppy home while I work, travel etc.? Puppies and kittens need a lot of supervision. So if you’re going to leave them alone you need to have the following in place to keep them safe. Part of being a baby is discovering the world. And how do infants discover the world? By exploring of course! 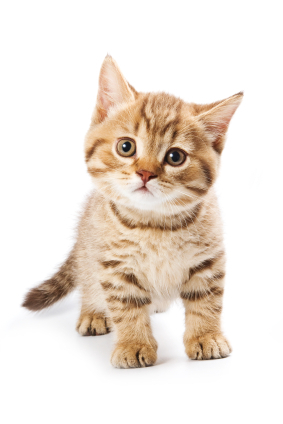 Kittens and puppies learn about the world around them through touching, chewing, smelling, pulling and scratching. Items such as chords, shoes, drapes and garbage are fair game for your new fur baby. So, in order to keep them safe while you’re away you need to keep them restricted to a safe area. Be sure to have puppy pads/litter boxes so your new fur baby has a place to go potty! While physical play time is great for your pet’s body to help them grow up big and strong, nothing is quite as tiring as having to use their brains. Providing your puppy or kitten with mental stimulation while you’re away allows them to take their natural energy and put into positive activities. Toys that hide treats in them. Your pet will have to use problem solving skills to figure out how to get the goodies out! Hide treats around their safe area. Whether it’s a crate, play pen or room hiding treats around for your pet to find will reward their natural desire to explore with safe treats. There are a number of automatic toys on the market, especially for kittens, that will keep them busy! The toys move on their own to mimic the movements of prey they would naturally chase. Puppies and kittens should not be left alone for more than a few hours at a time. Puppies will need to go potty every couple of hours and both puppies and kittens should be checked on regularly to ensure they are safe and out of mischief. With the average person working an 8 hour shift everyday, that makes it pretty difficult to not leave them alone for too long. A pet sitter can come to your home anywhere from 1 to 4 times per day to check in on your new fur baby. They will provide fresh water, meals, clean up pet messes, provide play time to burn energy and can help keep them out of trouble. 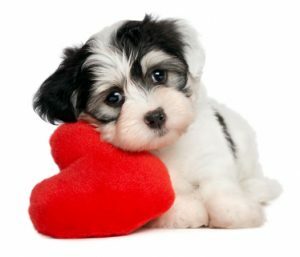 Contact us today to find out how we can help you with your new puppy or kitten! What Type Of Pet Sitter Should I Hire? 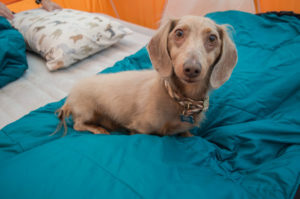 When searching for a pet sitting company there are several different options. You can chose from a solo pet sitter, a smaller pet sitting company and a large pet sitting company. A pet sitter is a pet sitter right, so what’s the difference? Read below to find out. A solo-pet sitter is, well, just that! A single pet sitter. When you hire this type of company you will only be dealing with one single pet sitter. When you hire a single pet sitter you are able to deal with them one on one. Whether it’s scheduling, billing questions or the actual services, you’ll always be getting the same person. While dealing with one single person provides a certain level of comfort. However, you’re missing another level of peace of mind. 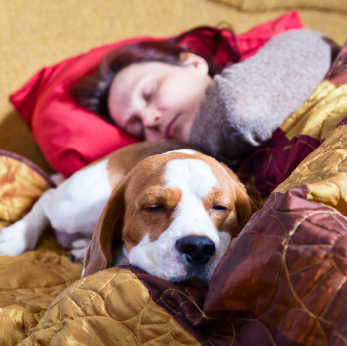 What if your pet sitter got sick? What if their car broke down? What if they wanted to take a vacation? Where would you be for pet care? A single pet sitter doesn’t offer the back up and guaranteed reliability that multiple sitters offers. Which brings us to our next category, large pet sitting companies. For the purposes of this article we will consider a “large” company to be one with 5+ sitters working for them. Larger pet sitting companies offer you the peace of mind and guarantee of someone being available to care for your pet. Having multiple sitters allows them to have someone available at all times so you are not without care. Because they are a larger company, often times they often times cannot guarantee that you will get the same pet sitter at each visit. This presents several drawbacks. Your pet has to get used to someone new, you have to trust someone new with your home and you may not always get to meet each sitter. We’ve saved the best for last, at least we think so! Combining the personal touch of the solo-pet sitter and the guaranteed reliability of the larger company, the small pet sitting company offers you the best of both worlds. Many times a smaller pet sitting company is able to guarantee you the same pet sitter at each visit while still having another sitter available as back up in case of emergencies. You are able to establish a more personal relationship with your pet sitter while still maintaining the professionalism and reliability of a company. While we prefer the services of a smaller pet sitting company, you really can’t go wrong with any version of professional pet sitting services! It’s best to decide what is best for you and your pet to ensure a long lasting pet care relationship with whatever pet sitter or dog walker you chose. 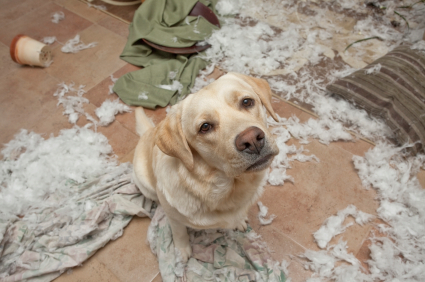 Pet messes are a part of life if you’re going to share you’re home with an animal (especially a puppy!). Whether it’s a potty accident, throw up or something they made a mess with. You’ll need a good carpet stain remover if you want to keep your carpets still looking and smelling fresh. With so many options on the market how do you know what will work and what doesn’t without wasting money? Luckily one of the perks of being a pet sitter is getting to try out tons of different products client’s use! This gives a unique advantage to figuring out what stuff works the best. Below is our personal opinions on what I have seen work best over the last 7 years of pet sitting! In 15 years of pet ownership and 7 years of professional pet sitting, Wooli te has never let me down. That time my Chocolate Lab ate 30+ Tootsie pops and threw up all over the back seat of the car while en-route to the vet? Woolite had me covered. The time a client’s dog had explosive diarrhea all over the floor in between visits? Woolite was there. Cat throw up and hairballs? No match for Woolite. Not only does it work at getting up stains it also has a fresh scent rather than vinegar which a lot of other remover’s have. 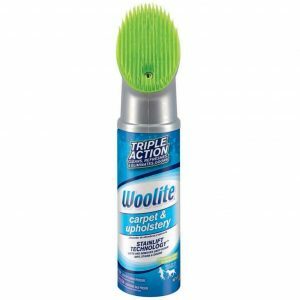 They also offer bottles that come with a scrubber right on top making it easy to get down deep into the carpet without needing a lot of paper towels. If you’re set against using Woolite there is another fantastic stain remover I recommend. 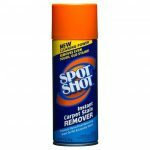 SpotShot is especially great if you have a cat. It has worked great on any cat throw ups’ I have encountered. It actually works like in commercials! Once you have removed any bigger debris from the area, spray it on the stain and it literally starts disappearing before your eyes. Once the stain has disappeared or you have let the products set for a few minutes, simply blow with some paper towel to remove excess moisture and you’re stain free. Like Woolite, it too is free from the smell of vinegar and leaves behind a clean odor. 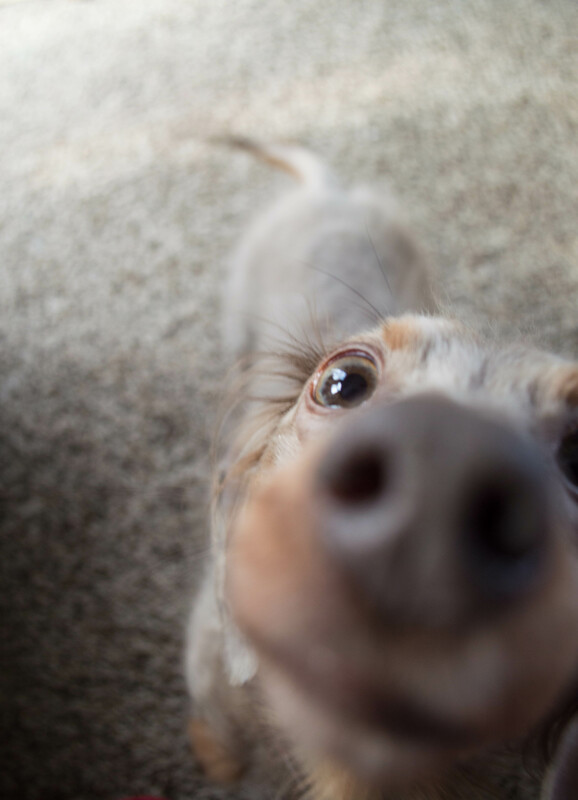 Enjoying your pets while still maintaining a clean, beautiful home can sometimes be a challenge. However, with the right products and tools you can make pet mess worries a thing of the past! How Can Having A Dog Walker Help You? One of the main reasons people often consider getting a dog walker is because they need help during work days. Midday potty breaks are a huge help to dog and owner a like but that is not the only benefit to have a dog walker! Being able to enjoy your lunch break without having to rush home to let your dog out to potty can make a huge d ifference in your day. Not having to worry about your dog being alone for too long while knowing they’re in good care brings so much peace of mind. Another benefit is being able to come home to a dog who is not bouncing off the walls! Lets face it, it would be boring to sit at home alone with nothing to do for 8 hours. We wouldn’t enjoy it so we do we expect our dogs to? A midday break gives them just that, a break! So they don’t feel as cooped up by time you get home at night. Lastly, another huge benefit to having a professional dog walker is the reliability. If you suddenly have to be in meetings all day or the boss is making you stay late, having someone to call for help is priceless. As we already mentioned above, being alone with nothing to do for 8 hours is BORING! 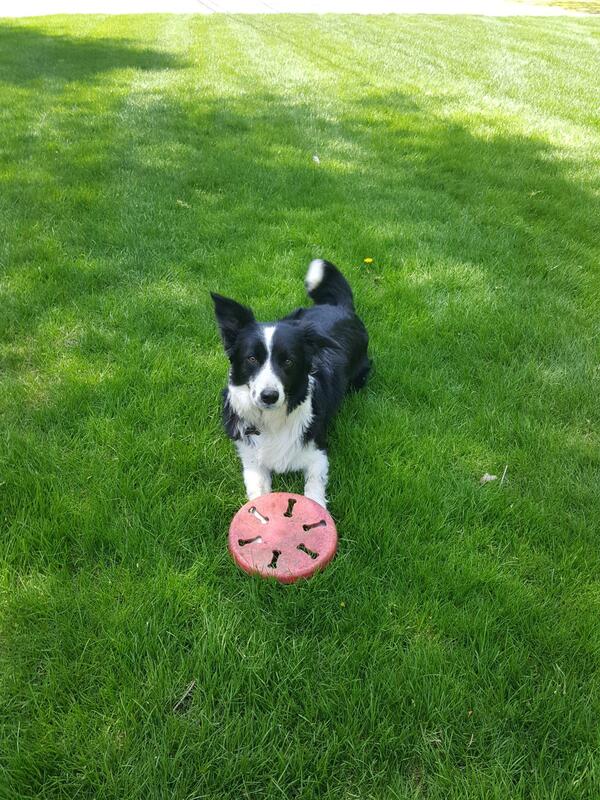 Your dog will be so happy to have a friend to play with in the middle of the day. It is not only good for them mentally but physically. 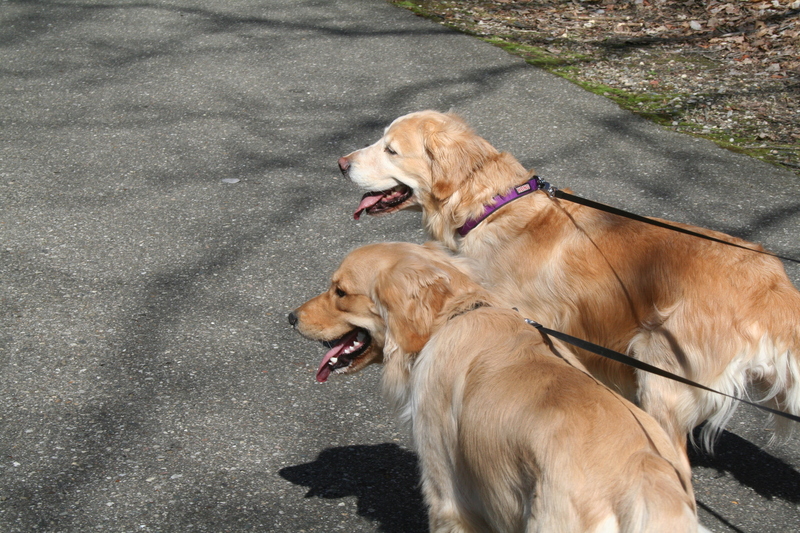 Which brings us to the next benefit, a midday dog walk is good for your dog’s physical health. Getting out for a walk helps prevent obesity, increases energy, reduces blood pressure and creates an overall sense of well being. 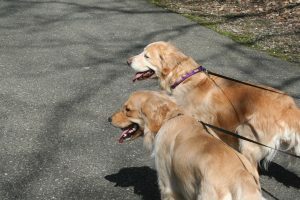 Hiring a dog walker has so many benefits, even beyond what we’ve covered here. If you have been considering hiring one for your dog, why not call today to find out what its all about? 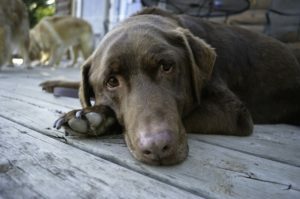 Why Does My Dog Shiver? Do you know why your dog is shivering? We often associate a shivering body and chattering teeth with the cold and often rightly so! Brrrr. But, cold temperatures are not always the culprit for a shivering dog! In fact, Dogs may shiver for a variety of reasons. It is very important that you, as your pup’s parent, know when that shaking means something more serious. Injury. If your pet is hurt, he may begin to shake as a way for his body to process the pain. It is very important that you are vigilant in finding out what is going on with your pet and get him to the vet and right away. Kidney, Liver or Neuroligical Issues. 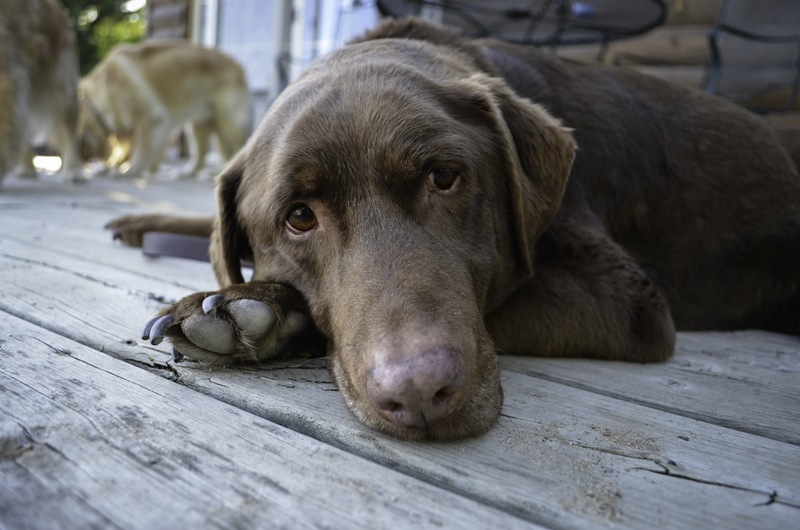 The shaking could be a sign that your pet is having some type of serious health problem. Get that pup in for testing. Poisoning. Shivering is a classic sign that your pet may have ingested something toxic to his system. If you see shaking accompanied by the following symptoms see your vet immediately: Depression, drooling, tremors, diarrhea, vomiting or limping. Excited Puppy. When your pet gets happy or anxious sometimes their nerves just take over, hence the shakes! It’s kind of like their version of jumping for joy. Distemper. Distemper is a virus that often effects younger pups but may affect older pets too. Fever, coughing and other symptoms may also accompany the shakes. Your pet will just need to let their immune system fight this one out. The vet may be able to help with some medication but a little TLC on your part will be needed. Nausea. Just like us humans, upset tummies can make your dog weak and shake. Other signs of nausea are vomiting, swallowing, hiding and excessive yawning or lip smacking. Normally not too big or a deal unless you think your dog may have eaten something toxic. Just Gettin Old. We age and so do our pups. Sometimes we just shake. Perhaps the legs just can’t support the body as strongly anymore or are just a tad weaker with age. As long as Fido isn’t suffering, he should be ok. Exercise and a healthy diet will keep your dog at his strongest at this stage of life. Generalized Tremor Syndrome. GTS has no known cause and it is just one of those things. Your vet can control the shakes with a dose of prednisone. So now that you’re a little more familiar with the anatomy of a “shake”, we hope you will not hesitate to seek medical treatment for your pet should he start to shiver. You know your dog best so any time he’s acting out of character that definitely warrants consultation with the vet.